Our Maker Training Camps are collaborative online courses designed to help makers learn a new skill or build a specific project. Our June cohort (the very first one) attracted students from around the world, including Singapore, the Netherlands and the US. We start another cohort on July 1 (sign up here). My name is Casper Hofstede. Ever since watching the anime tv series Ghost in the Shell S.A.C. and creating a mechanical arm for a graduation assignment, I have wanted to build a Tachikoma like robot. That’s my prototype drawing above. Unsure of my electrical and programming capabilities, I started off easy with a prototype, using modular metal Lynxmotion brackets and an Arduino to control the servo’s. After actually getting it moving, walking and driving, I convinced myself I could actually realize this dream of mine. The challenge was making it look like Tachikoma. I thought I might be able to design and print the right shapes on a 3-D printer. 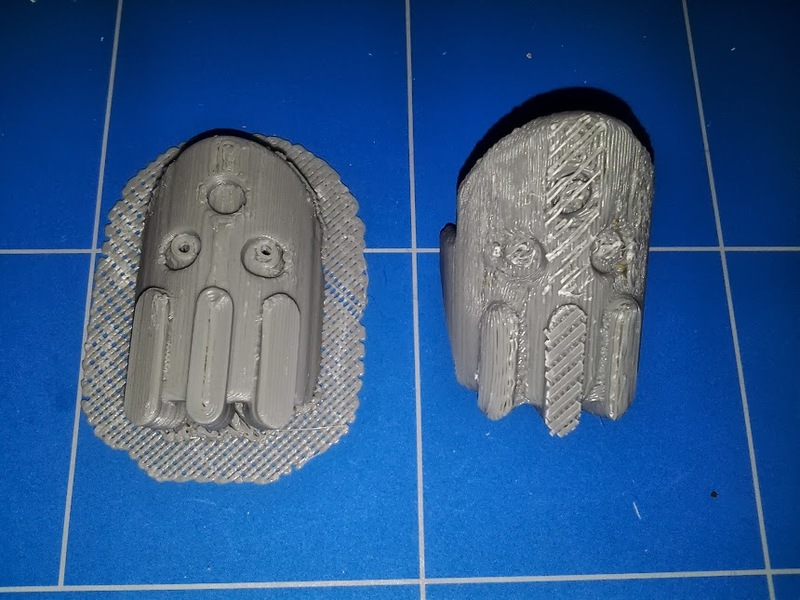 I compared the cost of having the parts printed versus printing them myself and opted for the latter. I quickly learned that I needed a whole new set of skills to create all the shapes I needed for the robot. So I went looking for some training. There are very few guides or instructions on the Internet that offer the whole package a-z of what you need to know for 3D printing design. Then I found Kacie’s course. It was exactly what I needed to refine my process. My current 3D design process is roughly as follows. 1. 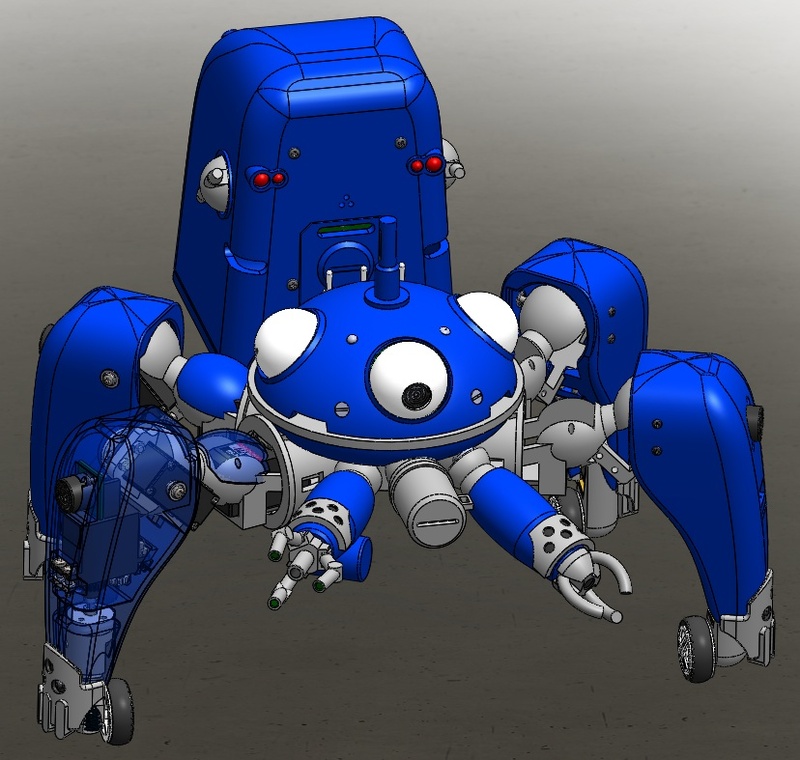 (Re)build the shape of the Tachikoma part in 3D (legs, main body etc.) keeping in mind fabrication processes. 2. Place all the needed components, mount them, connect them, for servo’s make sure everything can move around properly. 3. Optimize for 3D printing, cut the parts up, adjust thicknesses, slice, print. 4. If not ok, iterate, go back to step 1. The Design for 3D printing course made me a whole lot better at number 3, saving me quite a few visits to number 4. I’m using many of the design tricks from the class. I’m still far from done with my project, but the class has definitely accelerated my progress. The next cohort for Design for 3-D Printing starts on July 1. The Camp runs for four weeks. Each week has a lecture, a project and office hours on a Google hangout to interact with the teacher and other students. Come build your own robot (or at least the leg)!